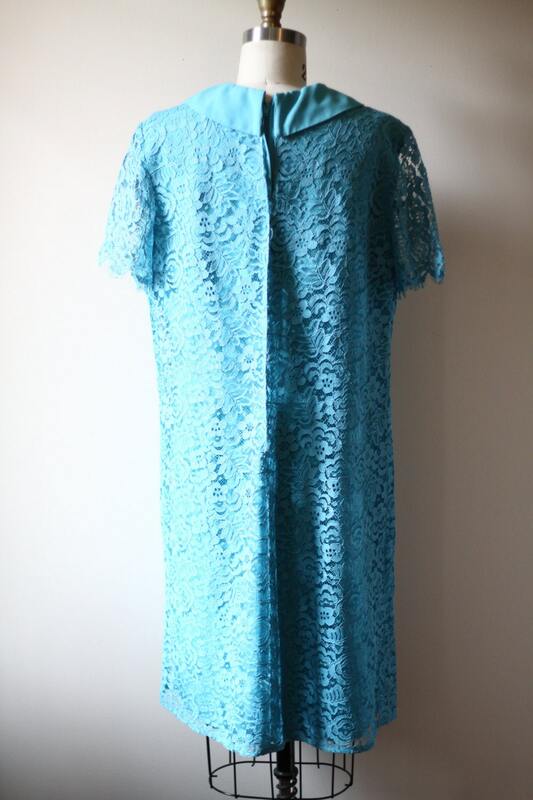 The sweetest 1960s blue lace short sleeve dress. 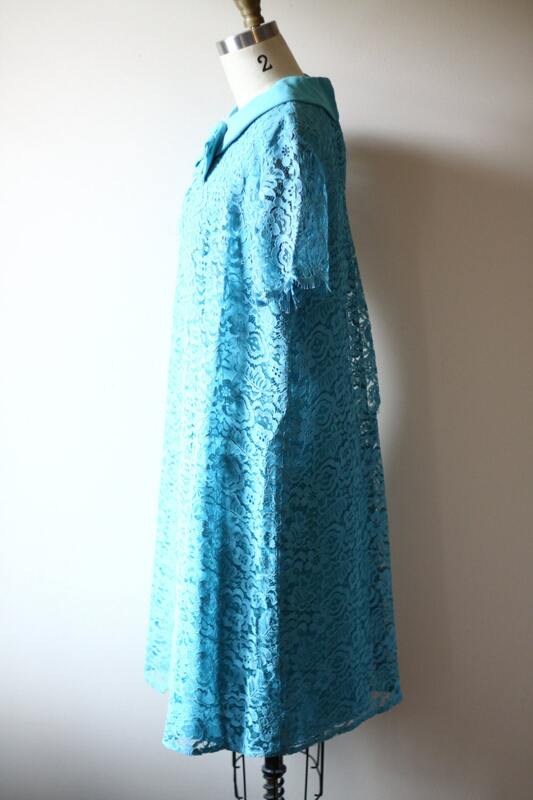 Lace overlay with a solid fabric body. 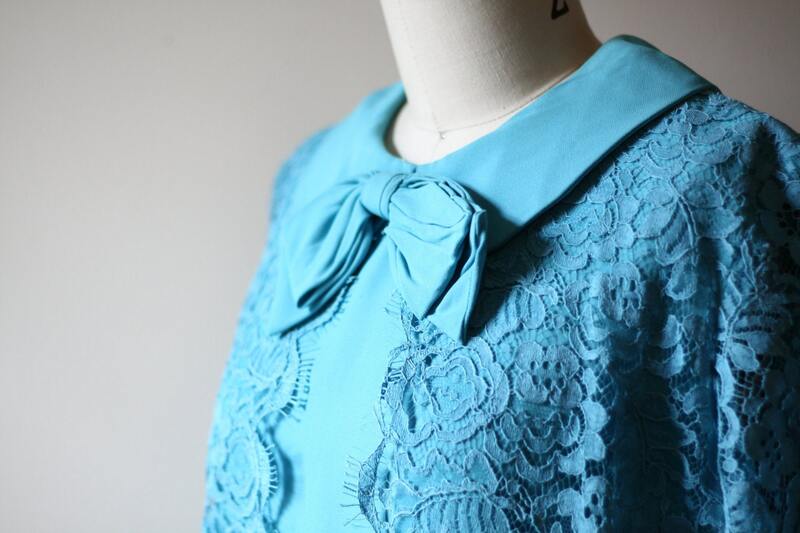 A fabric bow adorns the neckline of the dress. Zipper closure running up the back of the dress. ***All measurements taken laying flat. 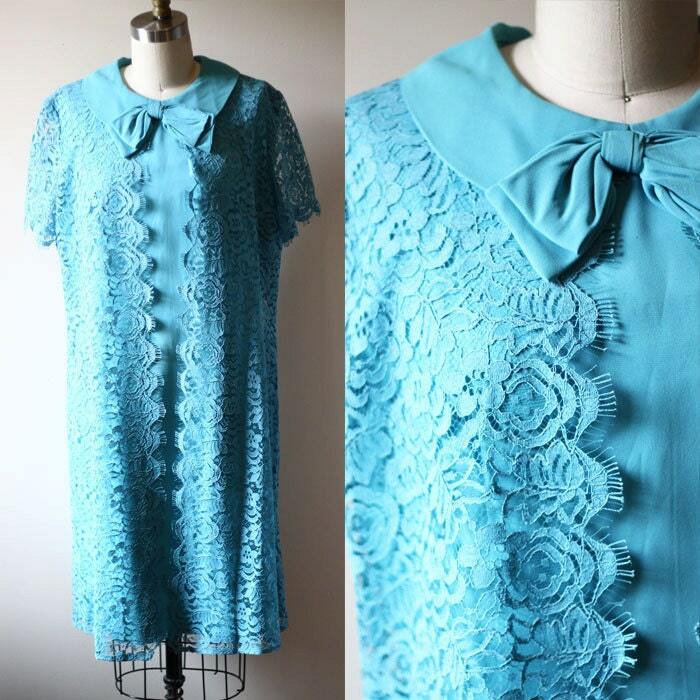 This dress is in great vintage condition. No flaws, stains, or tears. If you need other measurements, have any questions, or would like a quote for faster shipping please message me! International buyers please use Paypal and direct check out only. Local to Saskatchewan please contact us if you would like to pay via e-transfer. We ship Small Packet Regular Mail through the Canadian Post. This service is does not provide tracking but is the most cost effective. If you would like to upgrade to tracked packet, expedited or express mail, please feel free to message me and I will get a quote for you. If you are ordering from Regina, SK please use the coupon code LOCAL to drop shipping charges and pick up or delivery arrangements can be made. If shipping costs are overestimated I will happily refund differences that are over $1.00. Our store will not be held responsible for items lost in the mail due to post office errors. Please contact me if you would like proof of shipping or require assistance with this. ALL SALES ARE CONSIDERED FINAL. All customers wishing to make returns will be reviewed on a case by case basis, primarily only if there was a significant error in the listing. Shipping charges are non-refundable. Returns due to poor fit are not accepted. it is important that you love your purchase! 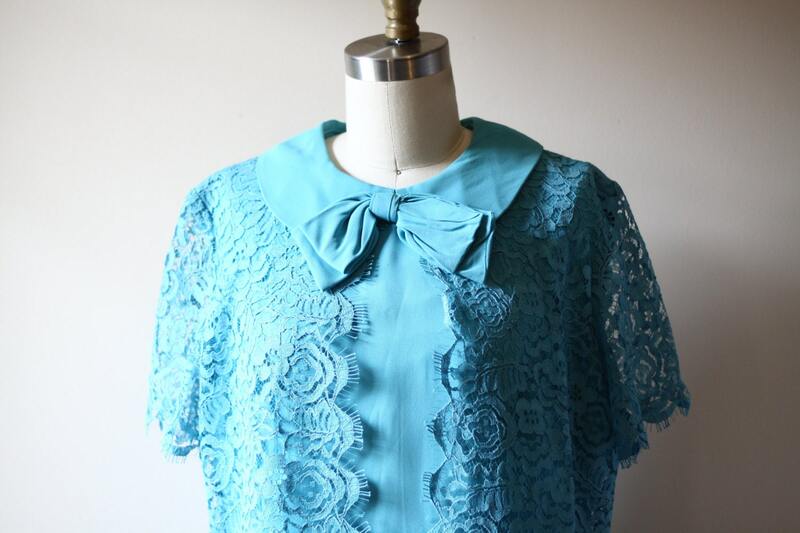 This means ensuring your item is well suited for you, please read the vintage sizing information & double-check and compare the listing size and your own size to get the best fit. If you are unsure and have a question about the size or appearance of an item, contact me and I will happily send you more pictures or take additional measurements. It is important that you love your purchase!